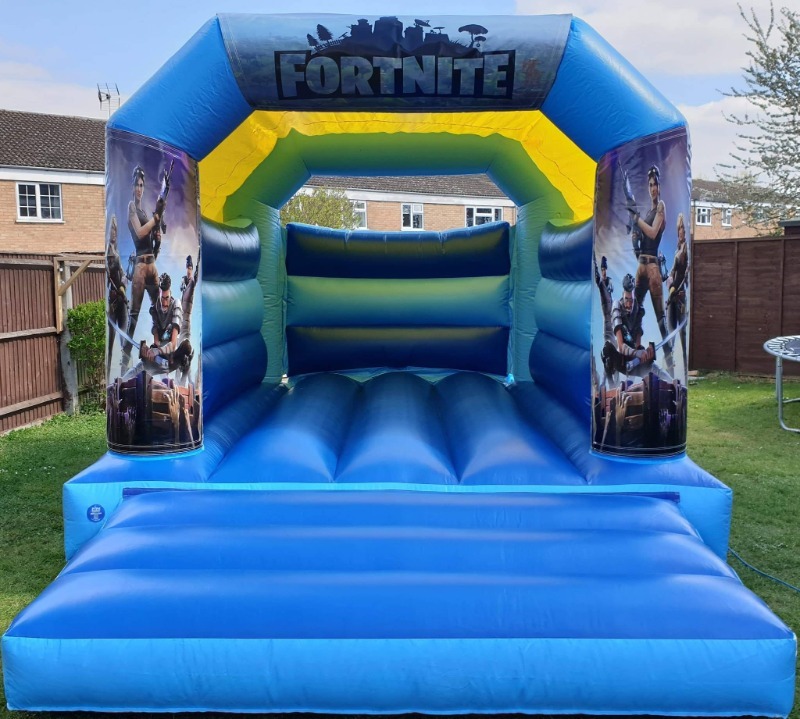 Here is our brand new Bouncy Castle Theme Fortnite, This is guaranteed to be a massive hit as everyone is talking about the game. This Bouncy Castle is 12FT BY 15FT and 9.5FT HIGH. It Has great detail to the artwork, This Bouncy Castle is available to hire in Newmarket, Burwell, Lakenheath, Ely, Bury St Edmunds, Cambridge, Mildenhall and surrounding villages.